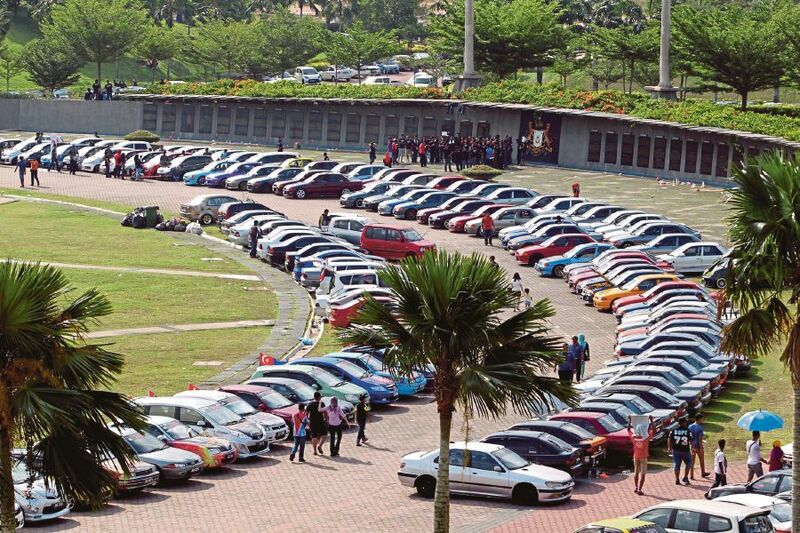 MANY Malaysians, including this author, were caught off guard with the recent announcement that the government wants to start another car project. There is no concrete proposal yet, as confirmed by the finance minister in his interview with a Singapore-based news agency days ago. This author opines that the new administration would need to cautiously consider the market viability of rebooting the national car project at a time when the global automotive industry is rapidly changing on a yearly basis. We should take note that the National Automotive Policy (NAP) is set for another round of review. While recognising the government’s role in the automotive industry over the last three decades, the future lies in attracting market-led technologies in order to place the industry on a different growth trajectory. Whether or not the new car project will become a reality, the new-and-improved NAP should bring about a change in the next wave of automotive manufacturing — higher technology adoption rather than contract manufacturing. The biggest challenge here is to formulate a forward-looking strategy that addresses the mismatch in capacity between the domestic and the rapidly changing external environment, at a time when our national carmakers are heavily pressed for market share. As the income of the rakyat increases over time, the propensity to consume much higher quality products is higher than before. In recent years, sales of mid-range cars are much higher than our national brands in annual percentage terms. In fact, Honda Malaysia sold more cars than Proton did in the last two years, and 2017 recorded its best ever sales in its 14-year history. Interestingly, Honda Malaysia has sold more than twice the number of cars as Proton in the first quarter of this year. Malaysia obviously needs a comprehensive plan that can propel its automotive industry into high gear via export markets. The NAP review should go back to manufacturing basics instead of forsaking industry development for national champions. In other words, NAP’s technology-driven agenda should set the motion for national automakers to buck up and adopt technological needs on the global stage. Thus, we need greater industrial linkages in order to ensure that our local vendors have equal opportunity and access to highly protected markets around the world. Technology is the lifeblood of manufacturing, no matter what industry it is. There is no other mass produced consumer product that is as complex as automotive manufacturing. It is no wonder that the industry’s survival relies heavily on technology adoption to ensure that cost and value represent the lowest and highest points of the manufacturing spectrum. We cannot deny the role of Japanese technology in the national automotive upstream manufacturing in the past. It had the necessary economies of scale to kick-start Malaysia’s first homegrown car brand and it even helped create the country’s second car manufacturer along the way. However, we are living in a different era today where the crown to the world’s largest automotive market has belonged to China for about a decade. While it is important to recognise that China is yet to surpass Japan in automotive technologies, the former will eventually do so. That said, it is folly to ignore Chinese industrial linkages in this respect. When China’s Zheijang Geely acquired 49.9 per cent of Proton in the middle of last year, Malaysians cried about Chinese invasion when the technology was never Malaysian to begin with. Besides, over-politicisation of foreign investment is a big turn-off to investors, whether or not they originate from China or elsewhere. We should also acknowledge the fact that Malaysia’s participation in the Comprehensive and Progressive Trans-Pacific Partnership will boost the country’s prospect as a major regional export hub for automotive parts. For the first time in decades, Malaysia has the chance to have an edge over Thailand in the automotive industry, as long as the country is not a member of the agreement. Another consideration for the new NAP is the dynamics of the domestic automotive landscape. The government should address the future of open approved permits on used car imports, as well as other concerns highlighted in Buku Harapan such as the return of the fuel subsidy and excise duties reduction on cars. Without a doubt, low retail fuel prices will ultimately encourage car ownership. Reducing excise duties on cars will slash the Federal Government’s revenue by about RM10 billion a year, which will indirectly disincentivise the government to offer fiscal incentives to national carmakers. It remains to be seen how the new car project will pan out with little or zero fiscal incentive. At the end of the day, the NAP review should address three major considerations — job creation, stronger industry linkages and participation in the global supply chain. It is this author’s hope to see light at the end of the tunnel, but not with the idea to cruise the industry back into reverse gear.